- The motor pump unit. 2) The safety rails to guarantee safety of the people above platform. 5) The limit switch system helps the lift table to stop at accurate position. It is made up of high strength stainless manganese steel. The width of this profile has increase the stability of the machine lot and decrease the orbit of the machine. All cylinders are with this device, it is used to protect the machine from the break of the tube. This can guarantee the safe using of the machine. 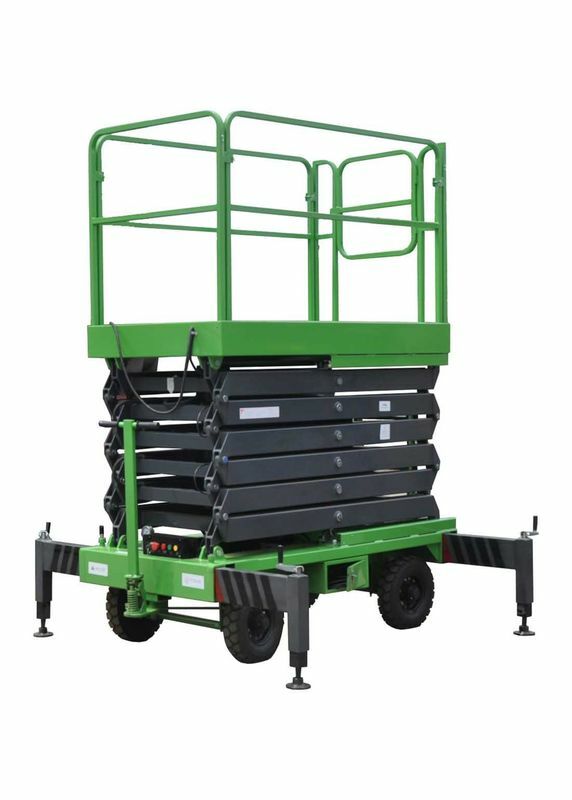 These outriggers can be fixed on any position within 90 to suit different working circumstance. And the length of the outriggers has connection to the lifting height. 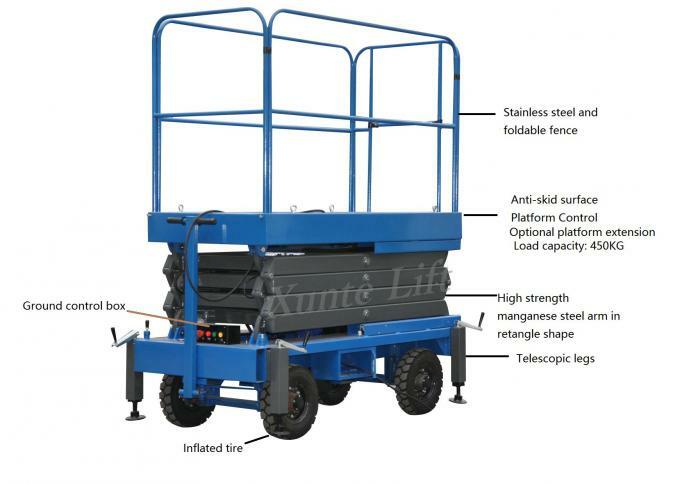 It is forbidden to lift the machine when the four outriggers do not be opened totally and fixed on the ground firmly. This bearing is anti-rust. And it has long service time. We can also view that there is a pin in it. Place it outside can improve the stability of the machine while lifting compared th place it inside. The auxiliary lowering device can let the machine lower down when the power is shut down. It is used to indicate the horizontal situation of the machine. Onkly the bubble is in the middle of the circle, the machine can be lifted up. The left side drawer is used to place battery and battery charger. The right side drawer is used to place hydraulic power pack. This design can anti dust and protect them from rain and it is convenient for maintaining.